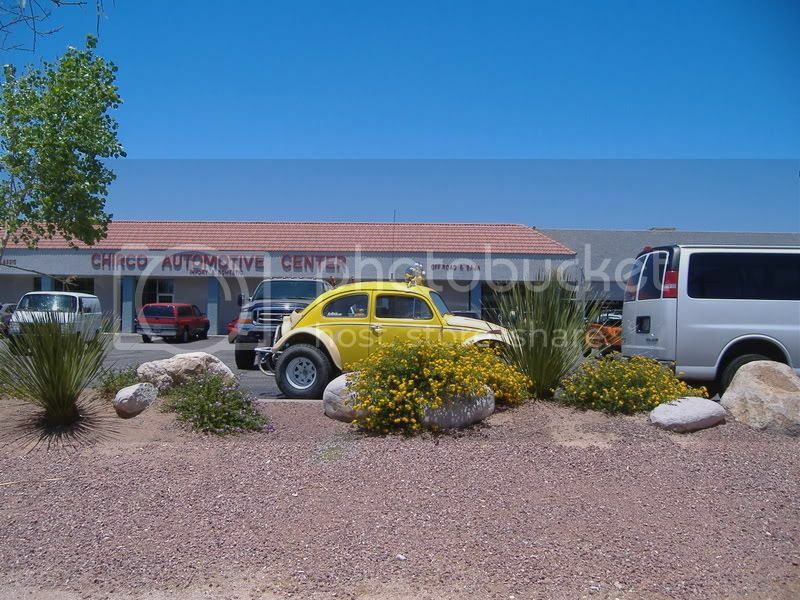 AzBaja.com, Home of the VW Baja Bug -:- Baja Forums -:- VW Volkswagen Bug, Baja, Bus, Sandrail and Thing -:- VW Volkswagen & Baja Bug General Discussion -:- What? what do you mean its not Bugtoberfest in June???? 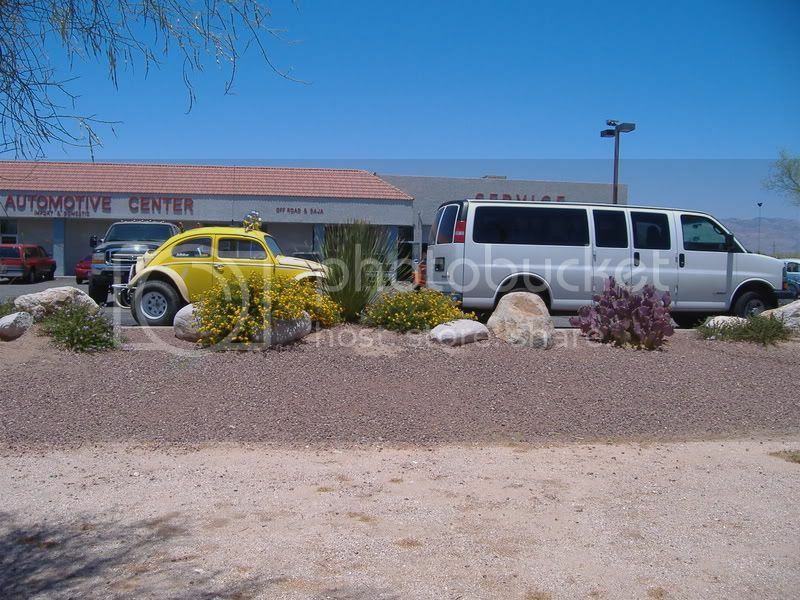 Baja Forums -:- VW Volkswagen Bug, Baja, Bus, Sandrail and Thing -:- VW Volkswagen & Baja Bug General Discussion -:- What? what do you mean its not Bugtoberfest in June???? What? what do you mean its not Bugtoberfest in June???? Post subject: What? what do you mean its not Bugtoberfest in June???? Joe and I had a good talk about engines. put one on order from his shop. he said 55 gallons of JB WELD for the case I took him will be an expensive fix! Post subject: Re: What? what do you mean its not Bugtoberfest in June???? Did you DRIVE your baja down there today, or did you tailgate that white van all the way? It's flippin' HOT out man! You're a bigger baja-stud than I am, for sure. What are the specs on the motor you ordered from them?? Do tell! most of y'all dont know thats my "former" ( now X's) 1 ton 15 passenger van in the pic!!! I towed it down. the engine it has currently will not make a trip like that. I decided to have Chirco do the complete build with test run. it will be a heavy duty 2007cc again. was considering 2165, and then heat factor of highway use for my company. not pretty after a short while. staying with 90.5's, and remote oil filter. we considered milling a used case and decided its more reliable to buy new already spec size. its a hard and pricey decision to build new, but I am tired of used engines and problems that come with them. I hope this build will last for many years to come.